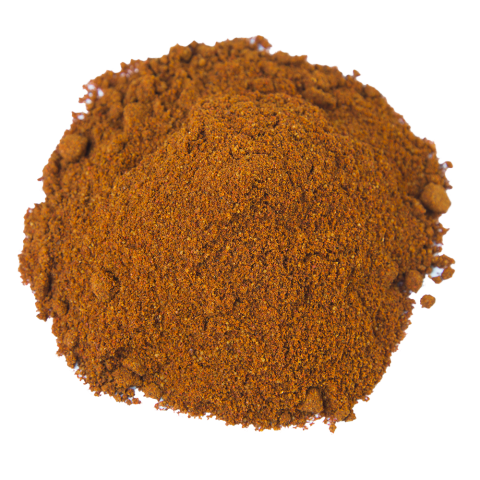 Amchur Powder is most commonly used in northern Indian vegetarian cooking. 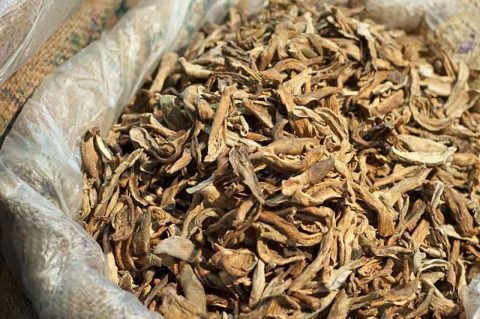 It has a honey-like fragrance and a sour fruity flavor; it is a tart brown powder used in dishes where acidity is required. It is also used in stir-fried vegetable dishes, soups, curries, and to tenderize meat and poultry. As well, it is utilized to add a fruit flavor without adding moisture, or as a souring agent. If you have a taste for intensely flavored foods that emphasize the spicy and the sweet, then familiarity with the delicately insistent flavor of amchur—or amchoor—powder is a necessity. This unique ingredient is an essential in the kitchens of chefs and cooks who stray freely and creatively into the extravagant; it is featured prominently in chutneys, curries, and masalas, and makes a remarkable and unusually delicious dressing for summer salads. 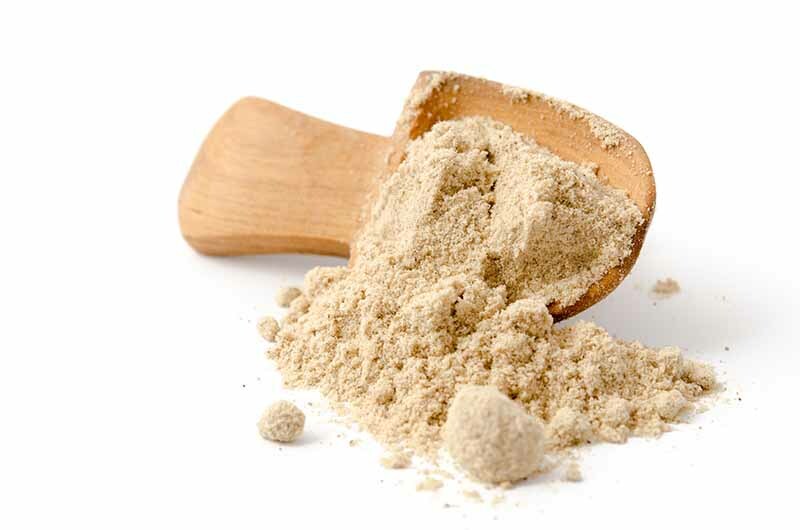 Amchur powder is a staple of Indian cuisine. It is made from sun-dried, unripe mangoes, and has a citrus-like quality; the citric acid in mangoes predominates before the fruit ripens. 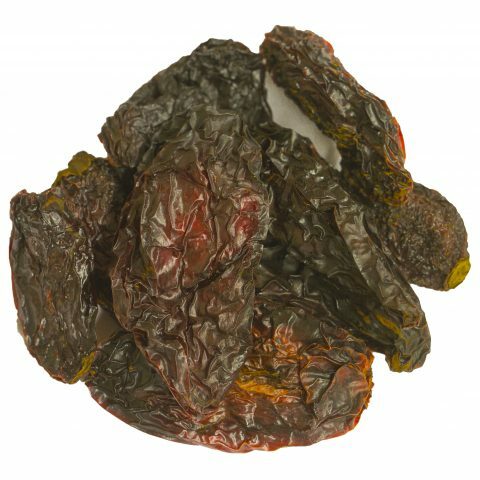 Amchur brings a sour fruitiness to recipes, and acts as a balancing flavor where spicy and sweet might otherwise predominate. Its gentle sourness brings cohesion to the flavors in these dishes. Amchur’s place in Indian cookery is for the ages, but the number of western chefs and cooks experimenting with amchur powder is steadily on the rise, and amchur has been getting some very interesting press as of late as globally-minded cooks and chefs experiment and compare notes. Amchur is also a nutritional and health-benefit powerhouse. 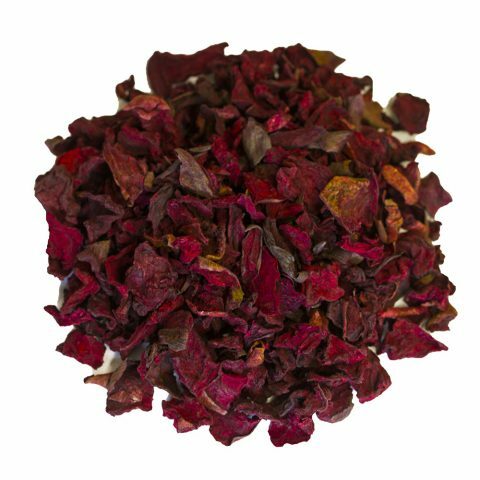 It has a beneficial effect on heart health, blood pressure, and eye health, helps control diabetes, is rich in vitamins and iron, and is anti-carcinogenic. 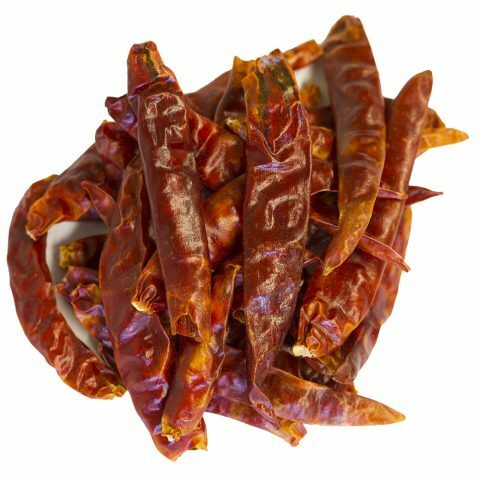 Amchur power blends well in dishes that already feature a wealth of assertive flavors, but it may also be used as a primary flavor. 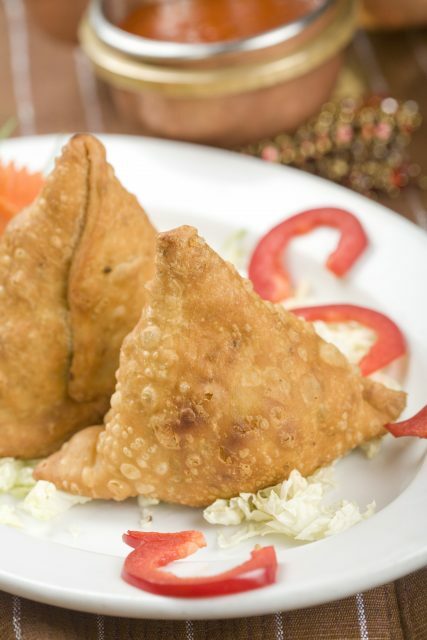 In Northern India—where amchur sees most frequent use—it is considered an essential in vegetarian cooking. Amchur is generally added close to the end of cooking time, as overcooking will deplete its delicate flavor, so grilling with it isn’t a good idea. When starting out, it is also best to use amchur sparingly, to taste. Think of it as a more flavorful substitute for lemon. For contemporary vegan cooks and chefs, amchur makes a marvelous addition to dals, masalas, and curries; it will make any of these dishes more complex, and open the door for new flavors to be added. It also blends well with potatoes and chickpeas. In meat dishes, try amchur with pork, fish, and poultry. The mango has a long and storied history in India; it is the national fruit of the country, and it is entwined in the rich culture of that country. It was given its name by visiting Portuguese. The gastronomic delights of the mango have even influence India’s mythology, and inspired a contemporary subgenre explored by fiction writers: sari and mango novels. The mango also features heavily in Indian poetry, appearing frequently at the crossroads of poetic and mythological imagery. As a symbol it is correspondingly complex; it can indicate love, prosperity, fertility, and envy in the secular world, and as a religious symbol indicates potential. Amchur as a cooking spice follows in spirit from the importance of the mango to Indian cultural identity. The mango has been cultivated for 4,000 years in the region. The preparation of amchur powder is nearly as historical. For thousands of years mangoes have been picked unripe, sun-dried, and powdered for culinary use. The iteration of this spice produced today hasn’t strayed very far from its birthplace. Most amchur powder is sourced from India and Pakistan. Burma Spice went looking for the finest quality amchur powder available; our buyer found it in a local farmer’s market in Nizamabad, India. Nizamabad is located in the heart of the Indian Peninsula. Climatic conditions are idea for mango cultivation. 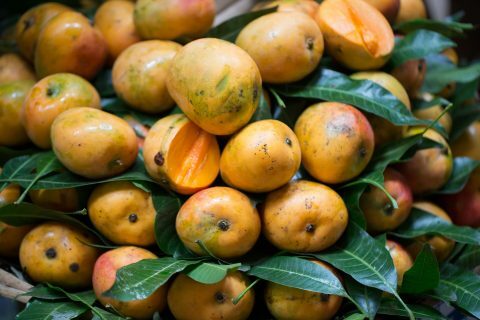 Our amchur powder is prepared in the traditional way: the mangoes are hand-picked, sliced, and sun-dried, then powdered and packaged for sale. Farmer’s market purchasing ensures Burma Spice obtains the best quality amchur on a year-to-year basis, despite annual growing conditions.